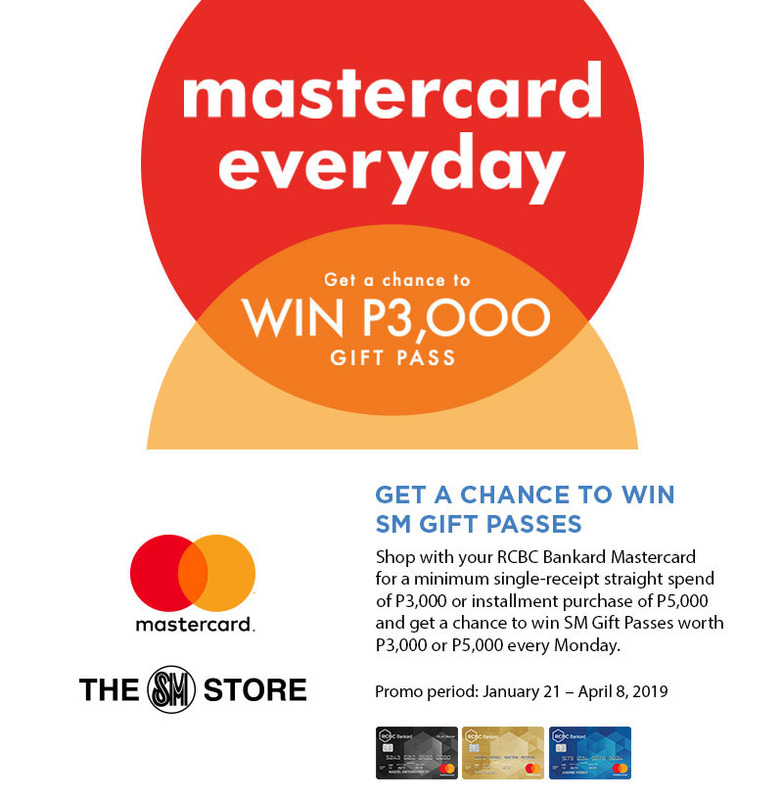 A minimum single-receipt straight purchase of P3,000 and installment spend of P5,000 at any The SM Store using your RCBC Bankard Mastercard from January 21 to April 8, 2019, give you a chance to instantly win up to P5,000 worth of SM Gift Pass. There will be 100 winners of P5,000 every Monday and 120 Weekly winners of P3,000 SM Gift Pass across for non-Mondays (Tuesday-Sunday) all SM Store. Total of 2,520 winners nationwide. 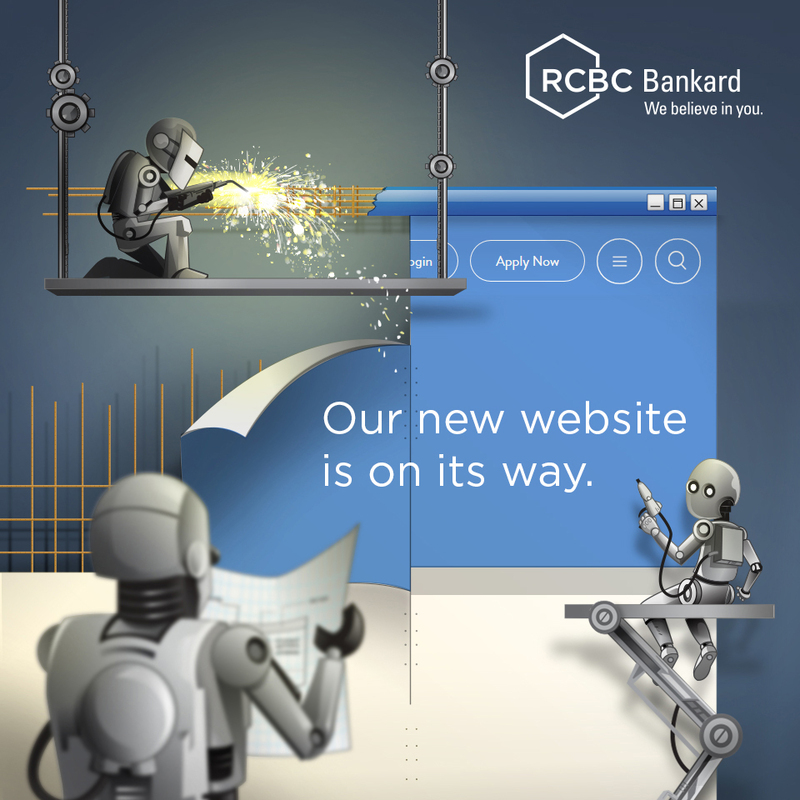 Promo period is from January 21 to April 08, 2019 while claiming of prizes will be from January 21 to June 07, 2019. The Transaction Receipt should be marked/stamped “CLAIMED” upon release of prize. Cardholder can only claim his/her prize at the same branch of The SM Store where transaction was made. The SM Store / Mastercard will not replace lost or damage prizes caused by the winner/cardholder. The SM Store and Mastercard Philippines reserves the right to disclose and publish names, photos and other information of the winners in any mode or manner as they deem appropriate. Employees of The SM Store, Mastercard and its accredited advertising agencies and suppliers, and their family relatives up to 2nd degree of consanguinity or affinity are disqualified from participating in the promotion.